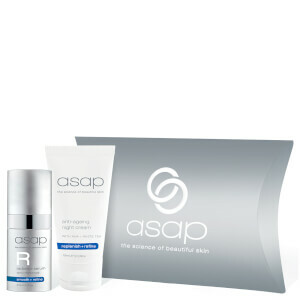 Asap Soothing Gel has anti-inflammatory properties of Aloe Vera, Sage and Green Tea to promote healing, calm the skin and reduce the appearance of redness while reducing inflammation and soothing damaged skin.The water-based gel formulation hydrates without adding oil, making it an ideal moisturiser, particularly for oily skin. It is ideal for soothing skin following shaving, IPL and Microdermabrasion. Use as required and apply to clean dry skin. Calms and soothes the skin following laser, IPL, microdermabrasion and waxing treatments. I have rosacea on my chin. Since I've been using this gel, my skin has become noticeably less red. I have also noticed that the skin on my neck has become softer, and the usual heat rash that I develop there in hot weather, has not appeared.